VIZIO 32" Class HD (720P) Smart LED TV (D32h-F1) Resolution: 720p. Smart Functionality: yes. Backlight Type: Full Array LED. Screen Size (Diag.). Screw Size: M4 x14mm. Digital Audio Out: 1. Component: 1. 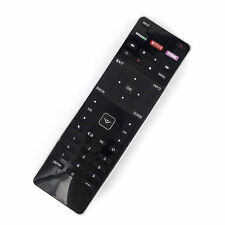 Original Vizio VUR10 KWR600001/02 QWERTY Slide Keyboard Remote Control. Condition is Used. Shipped with USPS First Class Package. The 2018 VIZIO D-Series 4K HDR Smart TV made just for you. 32" HD 720p LED Smart TV. 2 x 8W Speakers DTS Studio Sound. 2 x HDMI | 1 x USB | 1 x Composite Video Inputs. If you mind this. Type: TV Remote. Colour: As Shown. Originally supplied with TV models: 602UIB3, E701IA3E, M322IB1, M422IB1, M43C1, M492IB2, M49C1, M502iB1, M50C1, M552IB2, M55C2, M602IB3, M60C3, M652IB2, M65C1, M702IB3, M70C3, M75C1, M80C3, P502uiB1, P502uiB1E, P552UIB2, P602UIB3, P652UIB2, P702UIB3. Model Number: XRT122. FOR Vizio HD TV'S 2015 AND NEWER. If you mind this. 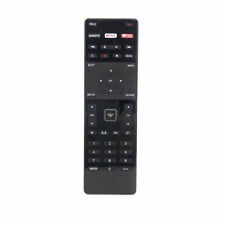 If you would like a new remote with the QWERTY keyboard on the back, we suggest the RRXRT303. Type: TV remote. Colour: As Shown. You are bidding on ONE VIZIO E241I-B1 24" 1080P LED/LCD INTERNET HDTV. This is a lost freight item that we received as you see it in the photos. It has some surface marks and signs of use. There is one very superficial scratch on the screen but it doesn't affect the picture at all (you can barely see it when the TV is off but not when it's on). It is just the TV and doesn't include any accessories. It powers on and will allow you to change inputs with a button on the back but you will need a remote to control the volume or access any other functions. It uses a simple wall wart type power adapter. Otherwise it works great, displays a nice photos and the speakers all work great. This is your chance to save big-time so don't miss out!!. It is in excellent condition. Sound Bar Size 36". Sound Pressure Level 100dB. Sound Bar Weight 2.09 kg. System Frequency Response 50 Hz - 20 kHz. Bluetooth® Input BLE 4.0. USB Input USB (for. WAV Audio Playback). Introducing the all-new VIZIO SmartCast 38" 3.1 Channel Soundbar System - SB3831-D. Dowload the VIZIO SmartCast app to turn your smartphone or tablet into a powerful touchscreen remote. VIZIO SmartCast 38" 3.1 Channel Soundbar System - SB3831-D.
28" Sound Bar. -Audio Cables. Exactly as shown in photos. We will take care of any problems that may arise. The included cables are for input to one of the two pairs of stereo RCA inputs from a 3.5mm stereo output, and for RCA output to a subwoofer of your choice. Good Condition. The Sales Depot will always do everything we can to resolve your issue as quickly as possible. We will make sure to correct any situation to the best of our abilities. You are bidding on ONE VIZIO SB3630-E6 36" 3.0 SMARTCAST SOUNDBAR SYSTEM. This soundbar is in excellent condition! We received as you see it in the photos (no accessories). It powers up and works perfectly. This is your chance to save big-time so don't miss out!!. Give your TV a big audio boost when you install this VIZIO 38" Two-Channel Sound Bar (SB3820). It has a combination of stereo full-range drivers, deep bass modules, and integrated Dolby and DTS audio technologies. VIZIO - SmartCast 5.1-Channel Soundbar System with 6" Wireless Subwoofer is a Certified Pre-Owned Item in Good Condition, with visible signs of normal wear.IMPORTANT: Product will have scratches and scuffs. They fit with any space and are sized to match your TV. Explore all the convenient and appealing places you can put your VIZIO Sound Bar. Premium audio, sleek design and unmatched value amp up your content without the compromise. Premium audio, sleek design and unmatched value amp up your content without the compromise. Tap the Cast button to send content to your VIZIO SmartCast device. More Product Information for the Vizio SB3651-E6 36" 5.1 VIZIO SmartCast Sound Bar System, Black. Premium audio, sleek design and unmatched value amp up your content without the compromise. They fit with any space and are sized to match your TV. Explore all the convenient and appealing places you can put your VIZIO Sound Bar. VIZIO 32" 5.1 Soundbar System (SB3251n-E0) Soundbar: 32"W x 3.0"H X 3.0"D. Hear crystal, clear dialogue and thundering bass. Bluetooth compatible so you can stream music from your smartphone or other music player in high quality, too. Upgrade your TV audio experience with the VIZIO 38” 2.1 Sound Bar System, a great fit for 42” Class TVs. VIZIO SB3821-C6 38" 2.1 Sound Bar Speaker System. They fit with any space and are sized to match your TV. Item is in Very Good condition. Model Number: XRT136. If you mind this. Type: TV Remote. Condition: New. such as broken, scratched and so on. HDMI Inputs: 2. Enjoy a superior HD experience with HDMI, the one cable audio/video solution. Built-in digital tuner. With a 1920 x 1080 Full HD resolution. 32" LED panel. See a clear picture from anywhere in the room. This VIZIO sound bar appears to be in excellent working order. See all photos. VIZIO E32-C1 32" 1080P FULL ARRAY LED SMART TV HDTV REFURBISHED - READ! 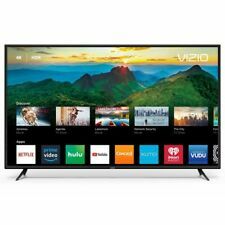 You are bidding on ONE REFURBISHED VIZIO E32-C1 32" 1080P FULL ARRAY LED SMART TV HDTV. This is a refurbished unit that we received as you see it in the photos. It has a few minor surface scratches on the screen that we'll show in the photos below but they aren't bad and are hard to see at all with a picture on the screen. Otherwise it's like new and comes with the stand feet and remote as shown in the photos. Don't miss out on your chance to save big-time!!. Sound Bar Frequency Response (Center)100Hz – 20kHz. Sound Bar Speakers5. Sound Bar Frequency Response (Left/Right)100Hz – 20kHz. Sound Pressure Level101. Analog Audio Input3.5mm stereo mini jack. Digital Audio InputDigital RCA (Coaxial/SPDIF). The sound bar also connects you with your favorite music. With Bluetooth capability built-in, you can stream music from your smartphone or other compatible music player in high quality. Lose the wires and listen to your music with a tap of a finger from anywhere in the room. VIZIO SmartCast 2.1 Sound Bar Speaker - Wall Mountable, Table Mountable - Wireless Speaker[s] (sb3621n-e8). Product Title VIZIO SmartCast SB3621N-E8 2.1 Speaker System - Wireless Speaker[s] - Tabletop, Wall Mountable (SB3621NE8). Vizio S2920W-COR 29-Inch 2.0 Home Sound Bar Audio System - TESTED AND WORKS! This item was tested and Works! Our hours of operation are M-F 9am to 4pm. 29" in length. The mission of Chattanooga Goodwill Industries is to provide people with disabilities and other barriers the opportunity to achieve their highest levels of personal and economic independence. With all audio cables included, it’s an easy setup from start to finish. VIZIO 36" 2.1 Channel Soundbar System - SB3621n-E8. We do not accept P.O. Boxes. We're happy to help. Vizio Crave 360. Bring music anywhere with a portable 360 degree 2.1 multi-room speaker featuring amazing clarity, 8 hours of power and a wireless charging base. ▫️VIZIO VSB200. SRS TruSurround HD virtual surround. Sound Bar includes cutting edge sound technologies such as SRS TruSurroundHD. High-Performance 32-Bit 150MHz DSP Audio Engine. High-performance 32-bit 150MHz DSP audio engine. Not always free to these locations. VIZIO 38" 5.1 CHANNEL SOUNDBAR SYSTEM WITH SUBWOOFER. With Bluetooth capability, you can also stream music from your smartphone or other compatible music player in high quality. All audio cables included for an easy setup. VIZIO 28' 2.0 Channel Sound Bar - SB2820n-E0. We will always leave you satisfied. Used works great. This is a Used VIZIO - SmartCast 38 5.1-Channel Soundbar System with Subwoofer - Black. Please refer to the pictures. This unit has been thoroughly inspected and tested by our in-house, factory-trained technicians. As a result of the technicians' professional handling and care, the unit has been returned to factory specifications. You can expect a fully-functional unit. .
Download the VIZIO Smart Cast app2 to turn your smartphone or tablet into a powerful touchscreen remote. Let us know what the issue is and we will help you as best as we can.